Aurora Hills Animal Hospital requires payment in full at the time that services are rendered. For your convenience, we accept Visa, MasterCard, Discover, and cash. We also accept all forms of Pet Insurance. However, we recommend Embrace Pet Insurance. 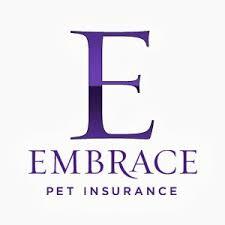 Make sure you mention to our staff that you are interested in Embrace Pet Insurance to receive a 10% discount on your insurance premium for life. At Aurora Hills Animal Hospital, we realize the rising costs of quality pet health care. We want your pet to receive the level of care that he needs, so we offer Care Credit payment plans giving you the flexibility to pay for care in monthly installments for up to 6 months.